Tow Truck Insurance Garland Tx — Great Rates & Service! Are you shopping for Tow Truck Insurance in Garland Texas today? You are in luck!! You have found the best place to help you find great rates and service on Tow Truck Insurance in Texas. Call 1-800-998-0662 Monday through Friday 9 AM to 5 PM Central Standard Time. We insure Garages, Car Dealerships, and Tow Service only companies throughout the state of Texas. Pathway Insurance not only offers coverage for well-established companies with years of experience in the business, but we can also insure brand-new startup companies. 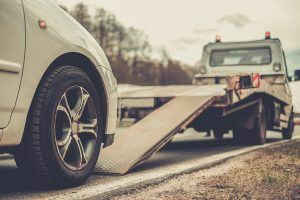 Tow Truck Insurance Garland Tx — Watch out for This Trick! In a previous article we discussed Junkyard Towing, a company owned in name only by Junkyard Joey. Joey’s brother Seth was in reality the king behind the throne and they tried to pull a fast one to get Cheap Texas Tow Truck Insurance after their previous company canceled them for bad claims. We learned that the moral of the story is — Don’t try to trick insurance companies by setting up a sham company i.e. closing one company down and reopening under a new name — it simply will not work. In this article were going to find out what happens if you buy insurance from a crooked agent that lies, or misrepresents information to the insurance company in your behalf? Can you be held responsible even if you are completely unaware of the situation? It would seem so, but is that really the case? Let’s find out. Tow Truck Insurance Garland Tx —Agent Lies to Get Business. Bernie Ponzi Jones runs Ponzi Insurance and he receives a call from Joe Friday Innocent looking for a tow truck insurance quote. Joe Friday is with Repo Insurance Company and he just received a cancellation notice because the company is no longer insuring companies specializing in repossession work, he can’t work without insurance so he starts calling around and he meets up with Bernie Ponzi. He explains that he only does repo work across the state and he needs coverage next Friday to stay in business. Bernie Ponzi work some quotes up and calls Joe Friday a few minutes later giving him the good news and Joe can’t believe his good luck, the rate the Bernie Ponzi quoted him is half of what he was paying before. “It is right as rain, we do this all day long I’ll get the paperwork over to you assuming you want to go through with the transaction?” Bernie assures Joe Friday. “Oh yeah Bernie I want that rate, let’s sign up right now!” Joe Friday tells Bernie. Bernie sends over the paperwork and Joe Friday signs were there is a big red X and he gives Joe his credit card number for the down payment. A few weeks later Joe Friday gets a policy in the mail about three weeks later. What Joe Friday does not know is that his brand-new agent Bernie Ponzi left out one little detail when he issued a policy for Joe Friday, care to guess what he left out? You guessed it — he forgot to tell the insurance company that Joe Friday only does repo work. Tune into our next article to learn what happens next. Garland Texas Tow Truck Insurance — Great Rates and Better Service! We offer great rates and even better service if you are a well established company or even a new business venture. Why not call us today? You can reach the licensed agents of Pathway by calling 1-800-998-0662 Monday through Friday until 5 PM CST.